On Tuesday, the annual ASDA’A Burson-Marsteller Arab youth survey was released. Among the findings, the survey revealed that 55 percent of young Arabs believe their region has moved in the wrong direction, compared to 40 percent that felt it had gone in the right direction. The survey is conducted with 3,500 face-to-face interviews with young Arabs between 18 and 24 with an equal amount of men and women interviewed from Gulf Cooperation Council (GCC) countries, North African countries, the Levant and Palestinian territories. The Arab youth interviewed said that militant group Islamic State and the Arab Spring (of late 2010/2011) had had the biggest impact on the region in the last decade and both were seen as being a negative. While 88 percent of those surveyed said the so-called Islamic State, or ISIS, had had a negative impact, 56 percent said the Arab Spring had been negative, an interesting statistic given that the regional uprisings were largely driven by young people. 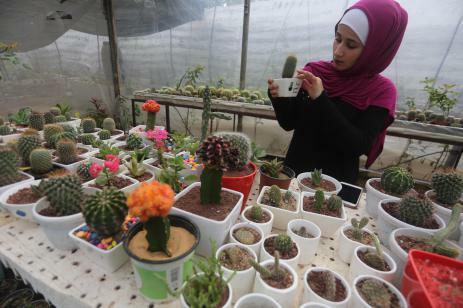 An 18-year-old college student has established Gaza’s largest cactus nursery. The founder of the project Sabara (cactus) is Afaf Massoud, a first-year interior design student at Al-Aqsa University. She started the project eight months ago after finishing high school in order to bear the cost of her higher academic studies. Afaf relied on the experience of her father, an agricultural engineer, who helped her establish this nursery. She launched the project having only ten cacti, some of which she nurtured herself. That number has increased to around 400 to 500 cacti representing about 40 species. The young entrepreneur uses Facebook to promote her products and participates in exhibitions, in addition to displaying her cacti in commercial centers. Her cacti prices start at $2; older cacti are generally more valuable. In another example of the limits of free speech in the region, protests by Iranian teachers demanding increased educational funding, free schooling and higher wages on Thursday were broken up violently by security forces outside the government budget & planning office in Tehran. Security officers beat demonstrators including retired teachers and women and arrested at least six demonstrators. According to the Human Rights Activist News Agency (HRANA), however, 15 were detained. In Iran, public rallies are perceived as disruptive behavior of the public order and a crime against the security of the nation. Activists who oppose the regime are regularly detained. On Friday, HRANA also reported that three student activists was sentenced to imprisonment for 2-8 years on charges of gathering and collusion intended illegal gatherings. 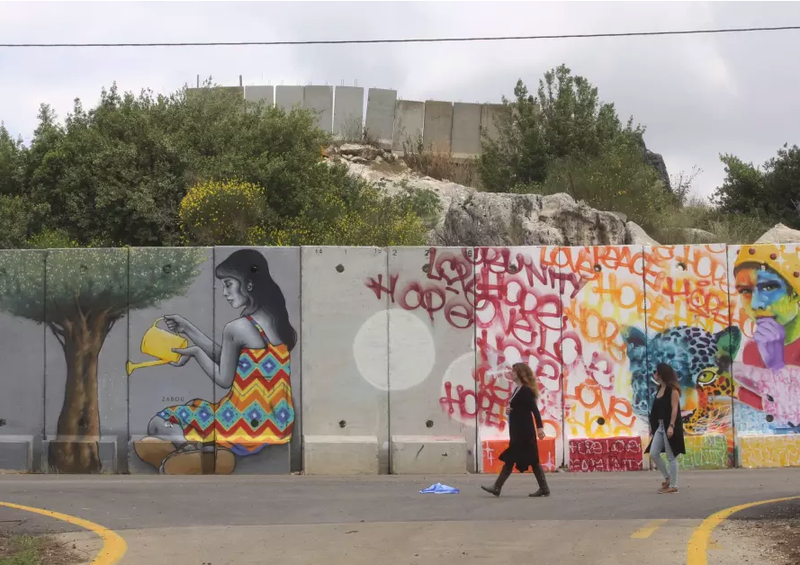 Several artists from around the world flocked to the community of Shtula on Israel’s northern border to paint the security fence with Lebanon. The eight artists, members of the group, Artists4Israel, came to paint a 200 meter stretch of the fence near the location where IDF reservists Udi Goldwasser and Eldad Regev were killed and their bodies abducted by Hezbollah in 2006. 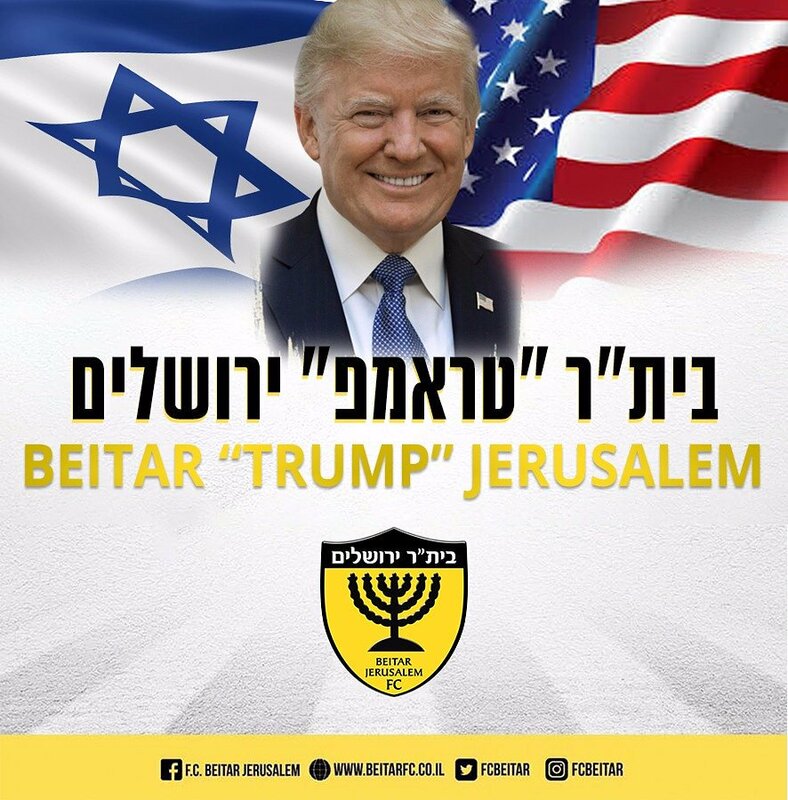 Artists4Israel consists of 1,000 artists from 21 countries who have painted over 800 murals worldwide, including on bomb shelters and orphanages. “These murals transform the grim reminders of war and terrorism into outdoor art galleries, beautify areas in need of renewal, add color to communities darkened by poverty and show that people in need are supported by Israel, artists and the creative communities of the world,” reads the Artists4Israel website. After over half a year of planning, the artists — who came from France, South Africa, Japan and the United States — arrived in Israel on May 1 and stayed as guests of the local community until the end of the painting project on May 9th. The artists and participants were constantly guarded by IDF soldiers throughout their time on the border. On Sunday, Saudi military joined Emirati forces on the Yemeni world heritage site, island of Socotra. This follows last week’s protest of the UAE presence on the island which Yemeni residents called an interference in the country’s internal affairs by seeking influence beyond its borders. According to a Saudi military spokesman, the Saudi forces were there on a joint training and support mission alongside Emirati and Yemeni forces, in coordination with the Yemeni government. Last week however, President Hadi condemned the deployment of UAE troops on the island and according to government sources, the UAE deployed to the island without Yemeni approval. The dispute was wrapped up quickly and later on Sunday, an agreement between UAE and Saudi Arabia was signed to withdraw all of their troops from the island. The next day, Yemeni Prime Minister Ahmed bin Dagher announced that “the crisis on the island is over.” The motive behind the UAE and Saudi Arabia’s deployment remains rather uncertain.